There is nothing more delicious than walking into a house that smells fresh and aromatic. I'm not talking about those Glade plug in things, I cannot stand synthetic smells and my boys have asthma so anything synthetic only triggers their asthma. We often burn essential oils, but I also forget that I have it burning and leave the house, not a great habit. This is where a quick spray of room deodoriser is an easier way to go. I have been sucked into buying every pretty bottle of room deodoriser over the years. When I came across a homemade recipe I thought I would give it a go. Combine the ingredients and shake. Spray towards the ceiling until you achieve the desired aroma you want. Smell and enjoy. 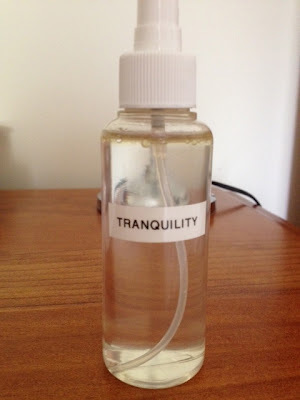 You should store this bottle out of sunlight and keep away from linens and clothes to avoid staining. Blend essential oils safely and only use ones that are suitable for your health (eg. if pregnant check for safe essential oils). Have a great weekend. I may not leave the house because it smells so great.